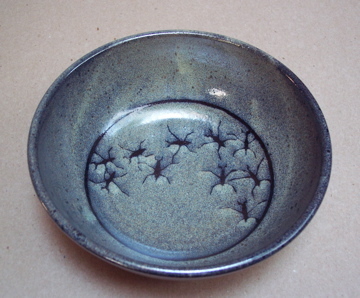 Pottery - functional ware with brush design. 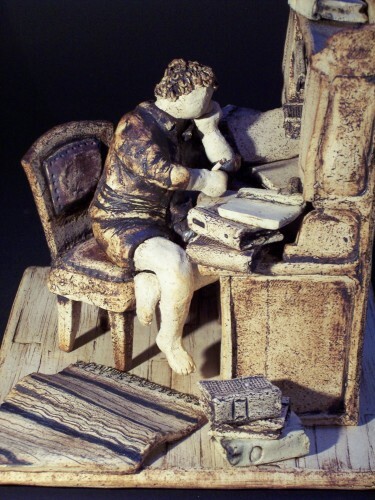 Ceramic sculptures. Priska Stabel is a potter, paper maker and nature photographer. She left her academic career in plant molecular biology to follow her creative passions. 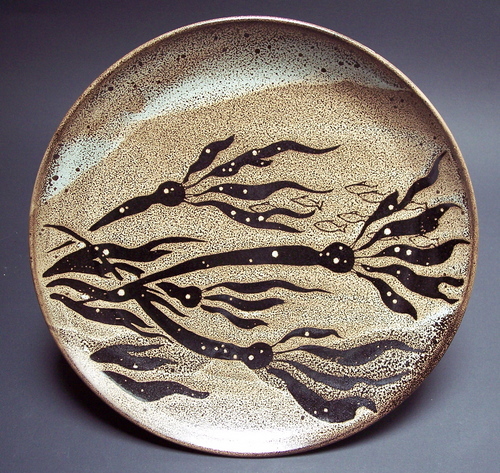 In 1992 she began with paper making and pottery first in England then Germany and moved to Canada in 1999. In Victoria she has potted with Muriel Sibley since 2000. Moving to Sooke in 2009 has brought her closer to hills and beaches and the richness of natural design. 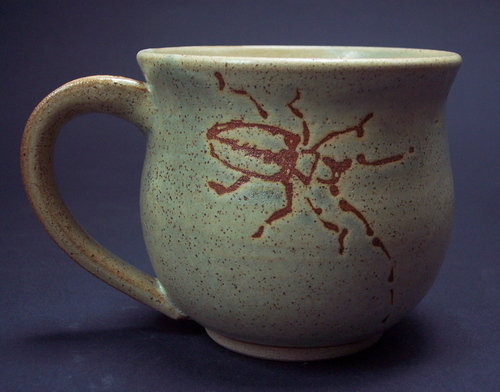 Some of the images find their way onto her pottery. One of these beetles was one day resting on a post at the studio. The antenna are up to 3 inches long. 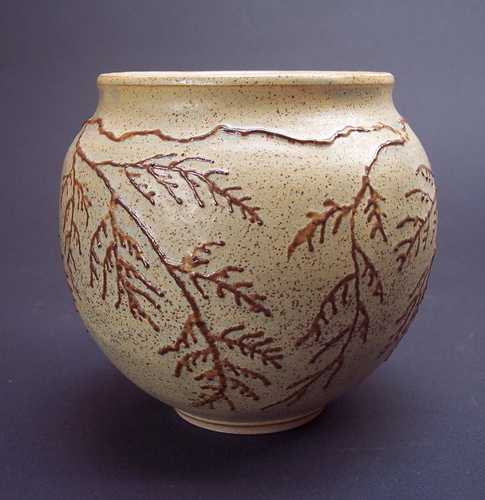 Vase with cedar motif, height 15cm, 6"
The Western Red Cedar (Thuja plicata) is one of the dominant trees along the BC coast. Water Striders are amazing insects which are common on our lakes and rivers. They posess hydrophobic hair on their feet and move with great speed on the water's surface.